LAKE SUCCESS, N.Y., October 23, 2012—Canon U.S.A., Inc., a leader in digital imaging solutions, today announced a new firmware update for the Canon EOS 5d Mark III Digital SLR camera that significantly improves the camera’s performance and usability. In response to requests from professionals working in the fields of cinema and television production, the firmware update enables the use of uncompressed HDMI Output support, making possible more efficient video editing and monitoring procedures. Additionally, the upgrade supports the advanced needs of photographers through improved AF performance when capturing still images. When shooting video, HDMI Output makes possible the recording of high-definition uncompressed video data (YCbCr 4:2:2, 8 bit) from the Canon EOS 5D Mark III to an external recorder via the camera’s HDMI terminal. This, in turn, facilitates the editing of video data with minimal image degradation for greater on-site workflow efficiency during motion picture and video productions. Additionally, video being captured can be displayed on an external monitor, enabling real-time, on-site monitoring of high-definition video during shooting. 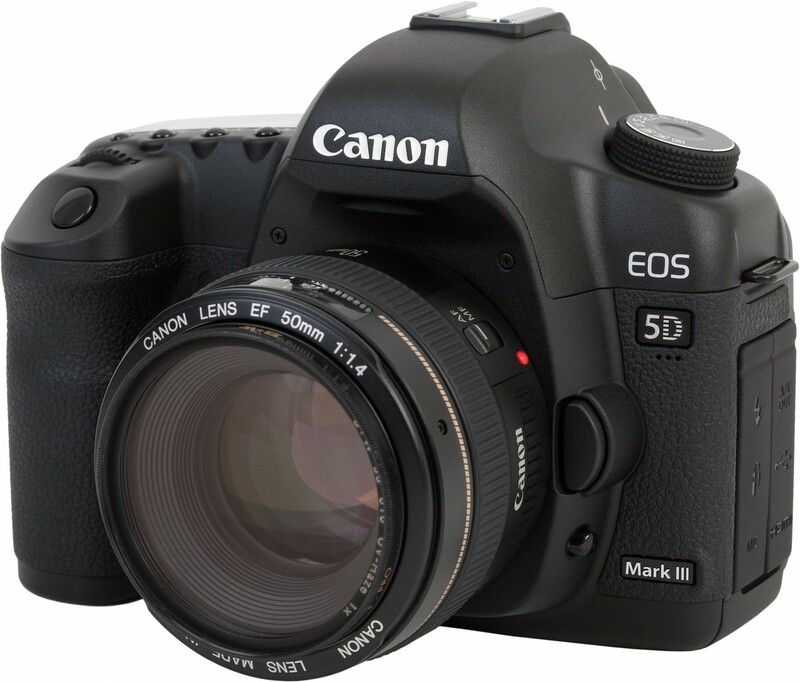 Even when the Canon EOS 5D Mark III is equipped with an extender and lens making possible a maximum aperture of f/8, the firmware update supports AF employing the camera’s central cross-type points (currently compatible with maximum apertures up to f/5.6). Accordingly, the update will allow users to take advantage of AF when shooting distant subjects, benefitting sports and nature photographers, particularly when using telephoto lenses.